England’s second city is at the country’s industrial heartland and has major demand for the high quality steel fencing products which Fengate supplies. 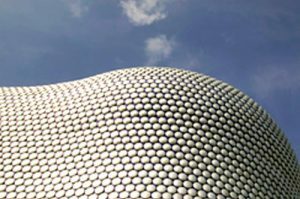 Birmingham is a busy industrial City covering a wide area which extends into the Black Country. The area has seen an upturn in fortunes in recent years, thanks in part to the upturn in the fortunes of Jaguar Land Rover which has directly benefitted hundreds of support companies in the area. The need for high quality steel fencing products is ever present, and Fengate supports Birmingham industry with a range of high quality products to suit the needs of business. Whether you are looking in the City, Wolverhampton, Redditch or the Black Country Towns such as Dudley, we can offer you a first rate service at competitive prices.